One of the left’s primary strategies for combatting conservatives is to avoid all intelligent discussion on the issues, opting for targeted harassment to try shaming people into falling in line with the progressive agenda instead of debating topics to find the best solutions for the problems Americans face. We’ve seen this play out over the last several weeks as both Press Secretary Sarah Sanders and DHS Secretary Kirstjen Nielsen both were denied services and harassed at local restaurants until they left. 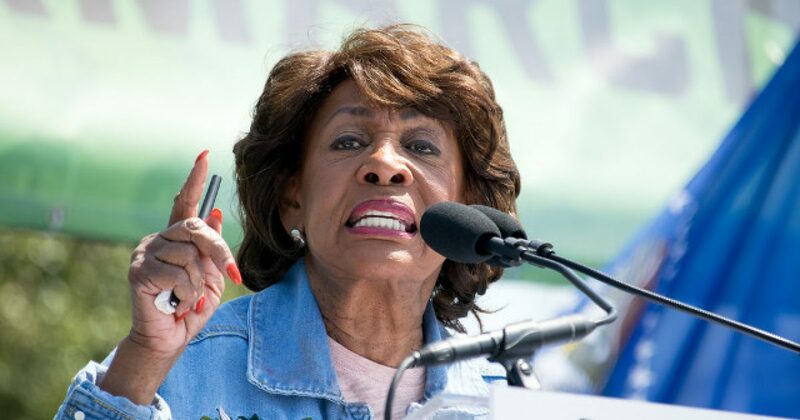 Rep. Maxine Waters then issued a call for folks around the country to continue to treat the individuals working in the Trump administration the same way, harassing them whenever the opportunity arises. This hasn’t sat well with a lot of folks, including many of her fellow Democrats who have called her out for such a horrific suggestion. Well, a reporter asked Waters how she felt about the criticism she was receiving from her own party over the comments and she completely lost it. After public rebukes from her fellow Democrats Nancy Pelosi, Steny Hoyer and Chuck Schumer, Waters held a press conference Monday at which she defended her comments. When she opened the floor to questions, the first one prompted a defensive response from the congresswoman. Asked what she has to say about the criticism from her fellow Democrats, a clearly incensed Waters tried to blame the backlash on Trump. Waters later attempted to clarify that when she made her call for targeted harassment she meant “peaceful protest,” but it seems pretty obvious that’s not the case, especially when you examine her history of wanting to take aggressive action to remove the president from office. It’s crazy how much political discourse has deteriorated over the last couple of decades, growing ever more hostile until the point folks are willing to do bodily harm to each other because they have different worldviews. That’s just plain outright insane. Here’s to hoping people learn to find common ground with each other once again and begin to find ways to communicate that uphold kindness.